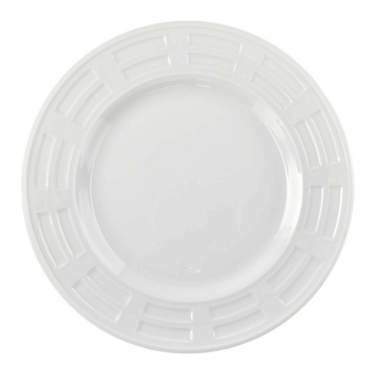 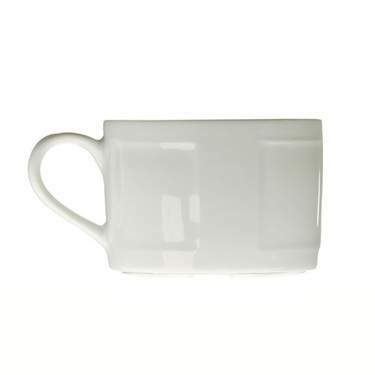 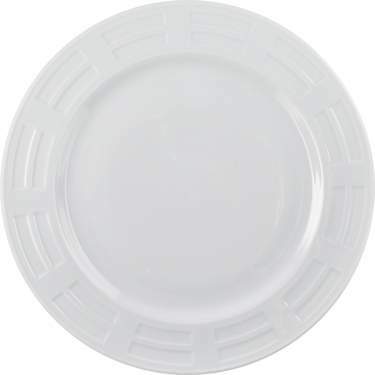 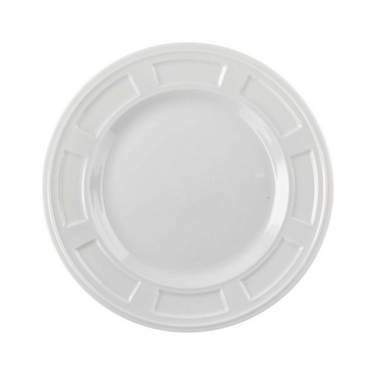 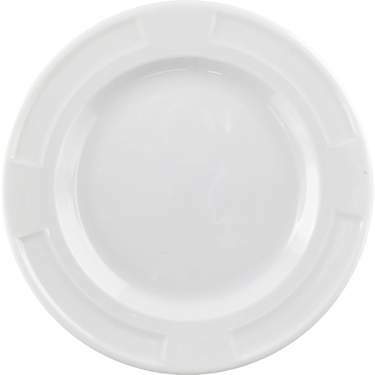 Versatile white porcelain dinnerware with rectangle embossed wide rims. 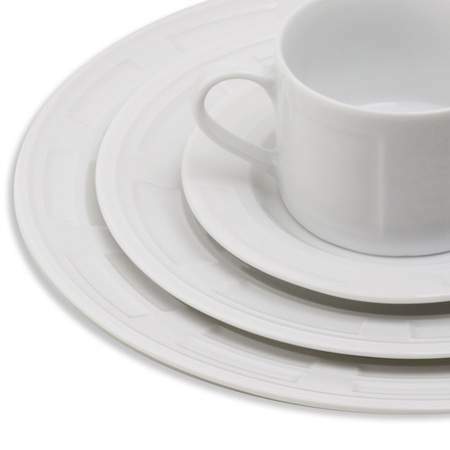 Set includes chargers, plates, bowls, cups, and saucers. 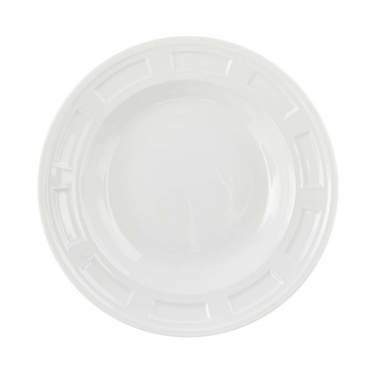 White Porcelain Bellagio Bowl 9"
White Porcelain Bellagio Charger 12"
White Porcelain Bellagio Plate 10.25"
White Porcelain Bellagio Plate 7.5"